A young guy from Wisconsin moves Florida and goes to a big everything-under-one-roof department store looking for a job. The boss says, ‘Just one? Our sales people average 20 to 30 customers a day. The kid says, ‘First, I sold him a small fish hook. Then I asked him where he was going fishing, and he said down the coast, so I told him he was going to need a boat, so we went down to the boat department, and I sold him a twin engine Chris Craft. An influx of phishing* attempts in the form of emails sent by an unknown third party, requesting vodamail users to send their personal information, has been noted. Please delete and do not reply to this email. If you have already replied, please change your password immediately. Please be assured that Vodacom will not request any personal information from you, via email, unless you have made initial contact and we require further information. *Phishing is the criminally fraudulent process of attempting to acquire sensitive information, such as username and password details, by masquerading as a trustworthy entity in an electronic communication. An example of the email sent to vodamail users is pasted below, for your information. Account will be de-activated and erased from our database. There are several ways one can check multiple Gmail accounts from one pc. Here is my shortlist. You can fire up several browsers, e.g. Firefox, Opera, Flock, Internet Explorer, Google Chrome, Safari, etc. But remember this will consume the computer’s resources. Use IE Tab – Firefox Add-on. This add-on embeds Internet Explorer inside Firefox. You can have e.g. one account open in a Normal Tab page and another in an IE Tab page. 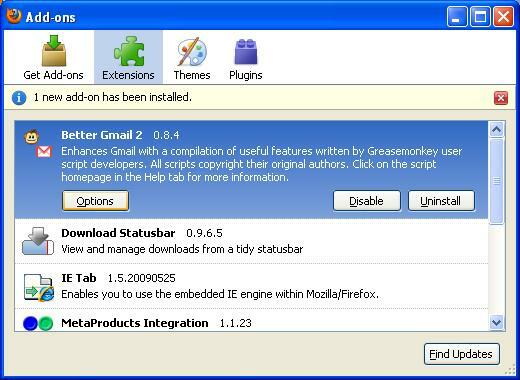 Use Gmail Manager – Firefox add-on. 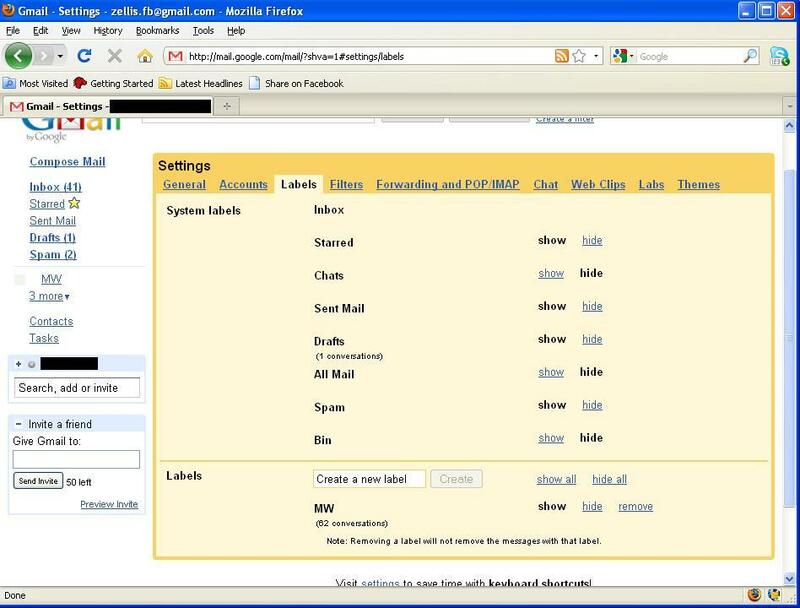 This enables you to configure different gmail accounts and receive notifications. After installation you will notice a shortcut in the statusbar of Firefox, where you can manage your accounts. This programs allows you to manage multiple e-mail accounts(besides GMail) and affiliate accounts as well. Read more at their website. It does require JRE (Java Runtime Environment), which most of us have already installed. Althought there are CookiePie and CookieSwap as well, they are not compatible with the latest version of Firefox. For sure that there are many more programs that can be added to the list. Feel free to leave a comment if you know of any other programs. By default GMail don’t allow you to create sub-labels(folders). This short tutorial, will show you how to do it if you are using FireFox. At the end there is a link where you can read how to do it for some of the other available browsers. Get the latest Firefox here. 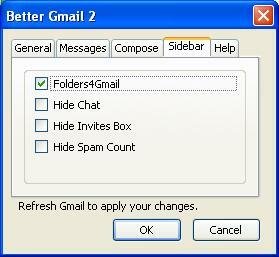 Install the following add-on Better GMail2 by Gina Trapani. From the Menu, select Tools | Add-ons. Select Manage Labels from the left pane or Settings | Labels. Type e.g. mail/bob, where mail will be the main label(folder), and bob the sub-label(folder) in the "Create label here" text box. Select the Create command button. In the left pane the folders and sub-folders will be visible. Remember if you add more folders the syntax is: folderName/sub-folderName. Now you can just select the messages from the inbox and move it to the mail/bob label(folder). If you are not using Firefox look at Arend’s website to do it for Internet Explorer, Opera & Google Chrome. There are also instructions for Firefox. Now you can organise your mail the way you want it! The Pxe-E61 Error can be two-fold. You get the error, but your system boots up as normal. This is just a nuisance error. You get the error, and your system reports "No bootable device — Insert boot disk and press any key"
Check the Cables, can be loose or damaged. Check the BIOS settings and try detect the HDD (Hard Disk Drive). Not common, but the master and slave settings can be incorrect. If it is the latter one, hope you have backups. MS Excel 2007 : Where is the stuff? This is just a short list of features people sometimes struggle to find in Excel 2007. Template File Locations: You need to open MS Word 2007 to change this. In Word: Office Button -> Advanced Category. Scroll down to the General Section. Select File Location. Read more here. AutoFormat: Home Ribbon, Style Group, Format as Table. Also have a look as Cell Styles. Who’s gonna make the first move? Or are you ready for the Queen’s gamblet? This must be one of the most exciting "ages" that we live in. I’m taking a look at technology. Yes I am a geek. So What? The Super-Info Highway was drifting somewhere in outer space when I grew up. I worked for the first time on a computer in 1987. With floppy, stiffy disks and tapes. With a choice of black and green or orange visual display unit (monitor). It had no hard disk. Note in South Africa we call a 3½-inch floppy disk a stiffy disk. SVGA Monitors and Wysiwig (What-you-see-is-what-you-get) blew my hair backwards. Was the next best thing besides sliced bread. An entire spreadsheet programme could fit on a HD stiffy disk (1.44MB). We also used a program FD-Format to have more storage space. Larry Suite Larry, Space Quest and Police Quest were my favourite games. Listened to MIDI files on the computer. The first programme I wrote was pages long. Used assembly language too with hex code flags and so on. Developed a database programme with COBOL, also a lot of pages. Will only need a few lines of coding to write the same programs with the tools available nowadays. The web and e-mail messages were plain text with dial-up networking 56K. Coax was used for networks. And then later on CAT5… Also CD-ROM’s made very nice coffee cup holders. My first cell phone was a Philips. The thing weighed a brick and I went WOW over a SMS. Then we got the boom: Hyper threading, USB, DVD+R, DVD-R, DVD-RAM, Duel Processors, Blue-Ray, VOIP, Web-cams, Wi-Fi, Bluetooth, Fire wire, USB Flash Drives, And amazingly enough the stiffy survived. The Super-Info Highway arrived… Multimedia, Social Networking, Webucation, Webconferences, online bookings, shopping, just to name a few. Cellphones are now smart phones: MMS, e-mail, video, MP4, instant chat, Bluetooth, camera, modem (EDGE, HSPDA…), office programs, music, radio, games, GPS, clocks, PIM’s, mobile TV, Web, Video calling, fax, extra storage too, saw one with a small built-in torch too… We have cars nowadays that can park itself. Not even to mention the X-Box, Nintendo, Play station, PVR’s and so on. StarTrek is here. But remember I.T. is not whether a machine can think, it is whether mankind can think. For some reason this creature is running around my desk. I’ve inspected closely to see if it has perhaps a message but cannot see any. If he/she was at the plants, or attack my water bottle even my coffee flask I could understand. Even after throwing it out of the window a few times, it is back. It is still puzzling why they are running around on our desks. It started to get scared of the mouse (so I’m ruling out computer tutoring) and seems the poor little thing can get stressed out. Or is it perhaps that I’ve squashed it a bit with the mouse? 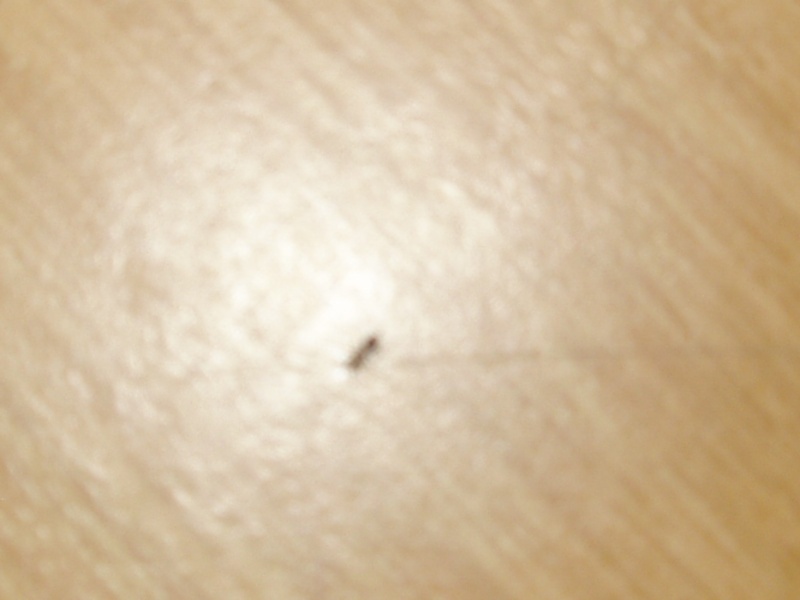 The ant on my desk. Just wondering what it is up to.